Specialized insight, integrated solutions and 30+ years of expertise makes Ensemble uniquely qualified to help clients design, implement and manage real estate solutions at every point in the property lifecycle. We don’t merely adapt to the changes in healthcare, we anticipate them – which empowers us to maneuver the industry’s complexities with forward-thinking strategies. This approach assists us in guiding clients through policy changes, issues that affect property management, complications and challenges that affect landlord and tenants, the acquisition and disposition of properties, and more. 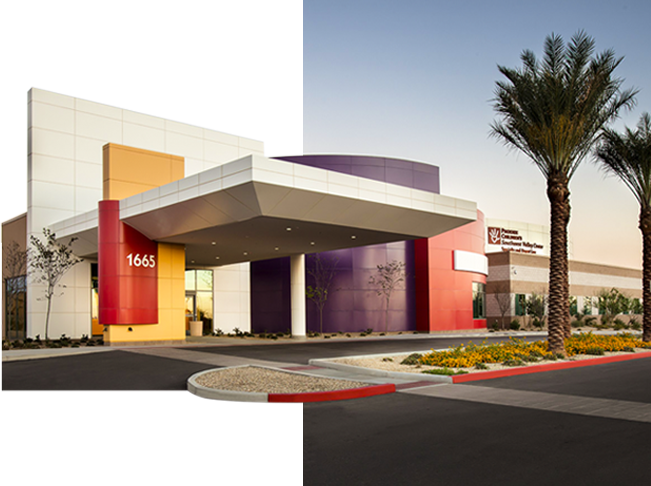 We specialize in both on-campus and off-campus facilities, including hospital-sponsored facilities, investor-owned healthcare facilities, and physician-owned medical office buildings. Since 1981, we’ve built a successful development and acquisition résumé on 32 hospital campuses in 26 cities across five states. Our clients rely on us to stay one step ahead of industry changes to help them stay relevant and profitable. 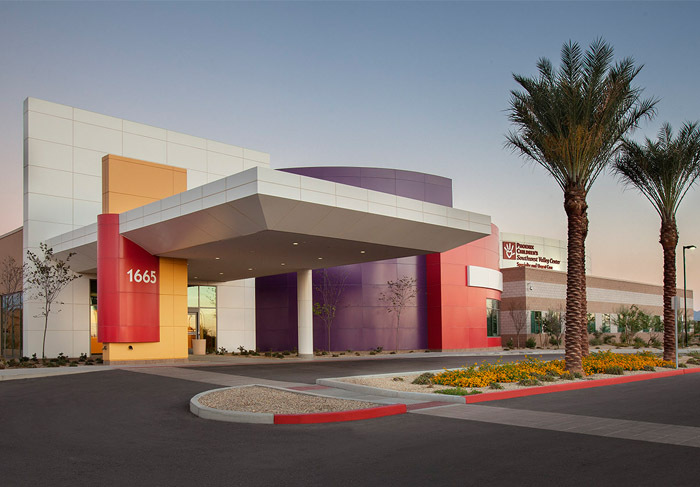 Our in-depth knowledge and familiarity with the local healthcare market allow us to assist our clients to find a location and negotiate with owners, saving our clients time, money and resources. Selecting the right location is critical and Ensemble will use all of its tools and resources to help guide you through all phases of the process. We understand what constitutes favorable transaction terms and will work with specialized, competent third party professionals to ensure our clients realize their maximum potential for their needs and requirements. There are typically no client costs for Ensemble’s real estate brokerage services because all fees are usually paid by the landlord or seller. If you want to purchase land or commercial buildings for use or investment, we can provide a wide range of options. Our comprehensive database of available properties and our network with other commercial brokers assure the most extensive search will be made for properties matching your criteria. TENANT ADVOCACY GROUP OVERVIEWEnsemble’s TAG™ is a dedicated team of seasoned professionals who manage all your real estate needs, allowing you to focus on what you do best—healthcare. It’s like having your own in-house real estate department, without the overhead. We can provide a single TAG™ solution or your practice can benefit from the entire offering. LEASE ABSTRACTSAn accurate inventory is crucial for strategic portfolio management and identification of opportunities to reduce costs. Ensemble’s lease administration team centralizes and manages all lease documents and provides an abstract for each property, leased or owned, summarizing the key financial, business and legal information in the lease. LEASE AND EXPENSE AUDITSThese services reduce the unnecessary risk and cost of inaccurate portfolio information to avoid billing errors or possible overpayments. They help ensure that the lease is being handled in accordance with the agreed-upon terms and also help us identify opportunities to renegotiate lease terms and rates. 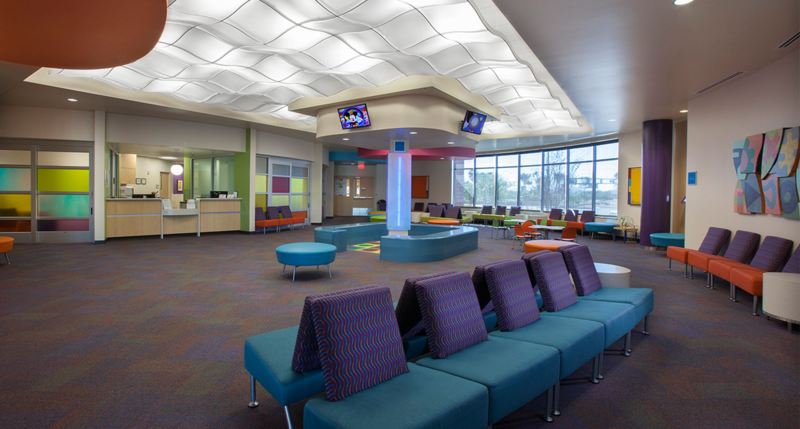 STRATEGIC PLANNINGWe’re confident we can demonstrate the value we provide to you as an integral part of your strategic planning—assuring that as it relates to facility solutions, you’ll be making decisions with confidence. Through our access to Intellimed™ we can provide your practice a needs analysis. By working with your data and with our database of healthcare providers we can identify your competition. Once we have a comprehensive database of all your locations and competitors, we can identify opportunities to consolidate or expand offices. 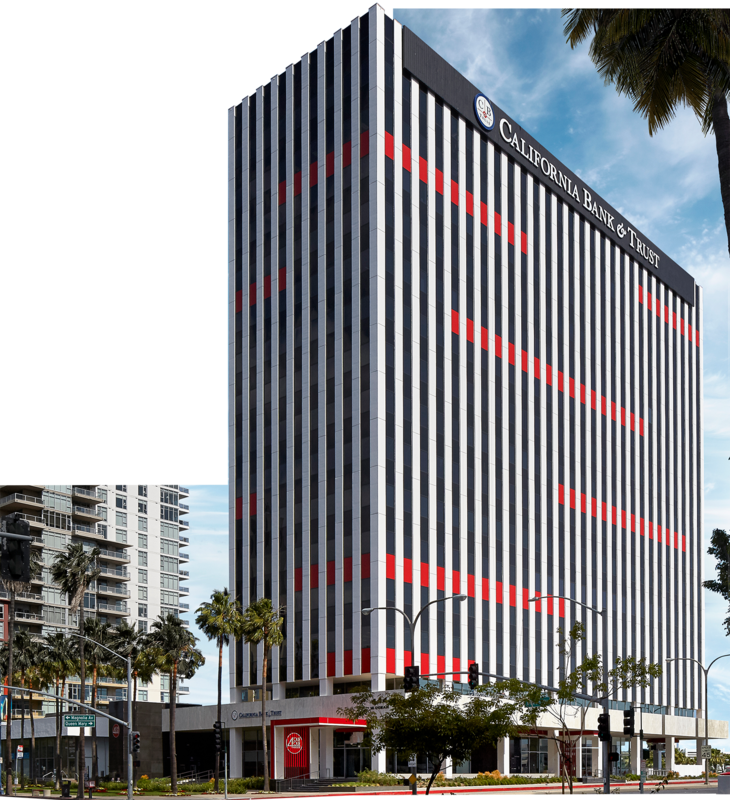 For example, if you have an underperforming location, we might determine that its market is better suited for a sub-lease or a replacement tenant. Or perhaps you’re considering an expansion in a market; we’ll keep you ahead of the curve by providing information on the cost of options in that area and/or the availability of space. TENANT IMPROVEMENT MANAGEMENTEnsemble can assist clients with the selection of an architectural firm and contractor. 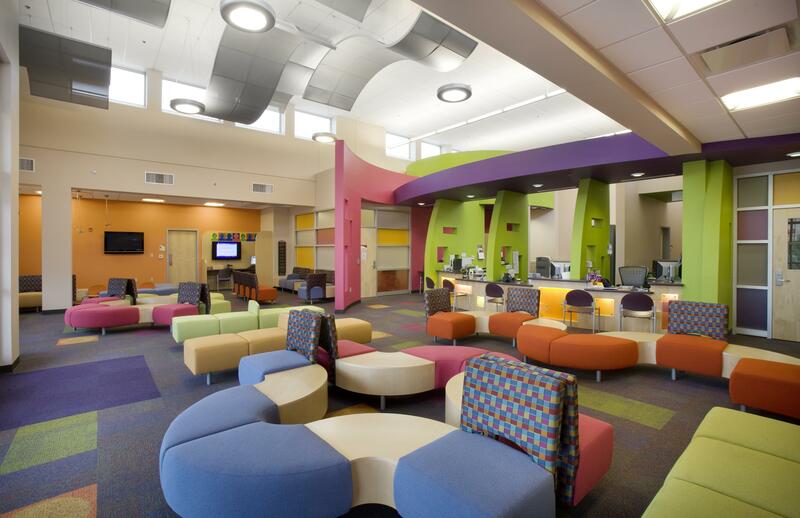 We work with the architect to ensure they design facilities that are budget conscious and sensitive to operational considerations such as energy efficiency, costs for repair, and maintenance. We also act as a liaison and advisor between our client and the architect and contractor, helping to design and build out suites to provide our client an overall cost-effective solution. TENANT/BUYER REPRESENTATIONOur in-depth knowledge and familiarity with the local healthcare market allow us to assist our clients to find a location and negotiate with owners, saving our clients time, money and resources. Selecting the right location is critical and Ensemble will use all of its tools and resources to help guide you through all phases of the process. We understand what constitutes favorable transaction terms and will work with specialized, competent third party professionals to ensure our clients realize their maximum potential for their needs and requirements. There are typically no client costs for Ensemble’s real estate brokerage services because all fees are usually paid by the landlord or seller. If you want to purchase land or commercial buildings for use or investment, we can provide a wide range of options. Our comprehensive database of available properties and our network with other commercial brokers assure the most extensive search will be made for properties matching your criteria. LANDLORD/SELLER REPRESENTATIONServing as the owner’s exclusive leasing agent, it’s our responsibility to analyze each property and develop a marketing plan that meets the specific goals of the owner. Our proprietary tools and in-depth market knowledge allows us to consider the market competition, current lease rates, landlord concessions and tenant improvement allowances as we design a leasing plan that positions the property in the marketplace to attract suitable tenants. As your seller’s representative, we utilize our up-to-date market intelligence, broad range of marketing tools and existing investor relationships to seek, identify and contact qualified potential buyers for your property. We will execute an aggressive marketing effort to position your property favorably to maximize its value. Ensemble is dedicated to providing the highest level of service possible, from property listing through the close of escrow. DEVELOPMENT/​CONSTRUCTION MANAGEMENTIf the best solution for your business is to develop a new building, we offer a comprehensive development platform. From determining the size and location of your facility, to securing entitlements, developing budgets and arranging financing, or assembling the team and managing the construction, we’ve got the expertise. 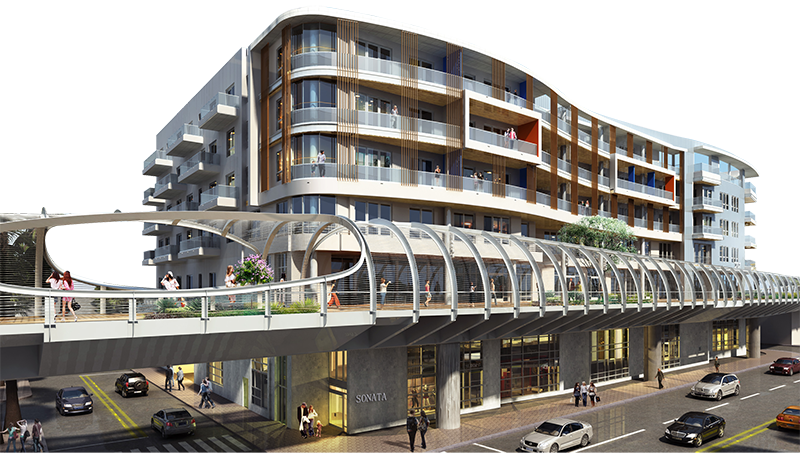 We emphasize disciplined decision making based on carefully curated data to deliver a new building with no surprises. ASSET & PROPERTY MANAGEMENTWe understand the healthcare industry and the unique demands it places on medical facilities. Our services include efficient, detailed financial analysis to support decision making, web-based tools, ongoing evaluation and control of operating expenses, capital planning, marketing strategies as well as integrated document management and accounting. ACQUISITION & DISPOSITIONOur brokerage services are based on our company founders’ experience as developers and building owners—with the added benefit of an experienced landlord’s perspective. Our focus is always on the asset and its owner. We look at a potential deal from all angles, helping you make the best decision for you and your business. 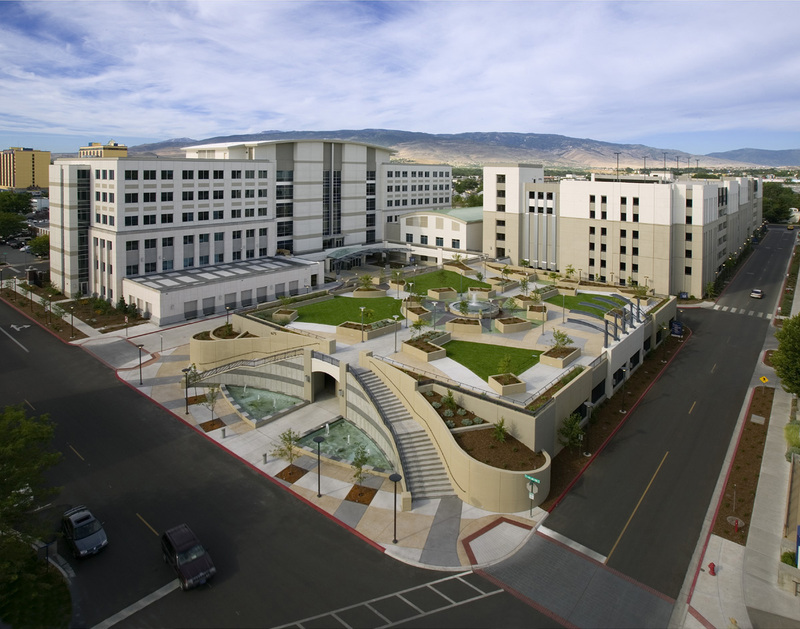 This project is the cornerstone of the west campus for Saint Mary’s Regional Medical Center in Reno, Nevada and provides the gateway for the entrance to the campus. Ensemble was responsible for all aspects of project delivery, including master planning, financial structuring, development, and property management. 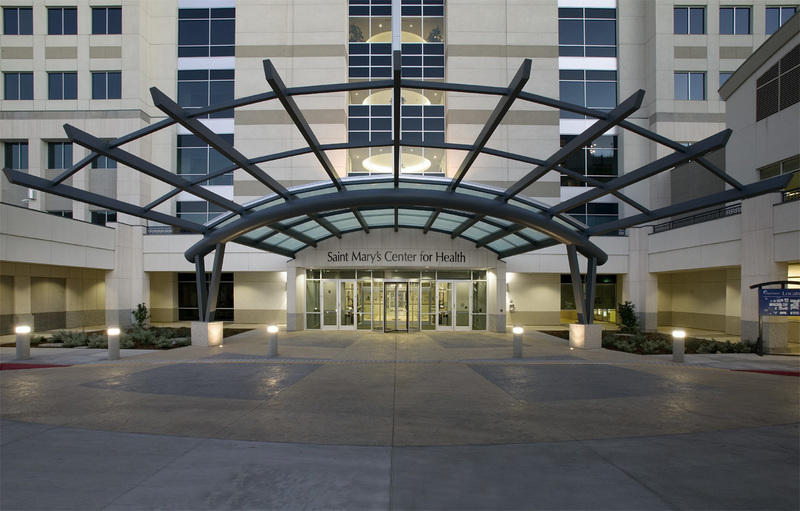 The project includes an 1,100-space parking garage and landscaped public plaza, and the nearly 200,000-square-foot, six-story Saint Mary’s Center for Health building on 5.6 acres. Construction was completed in 2005. 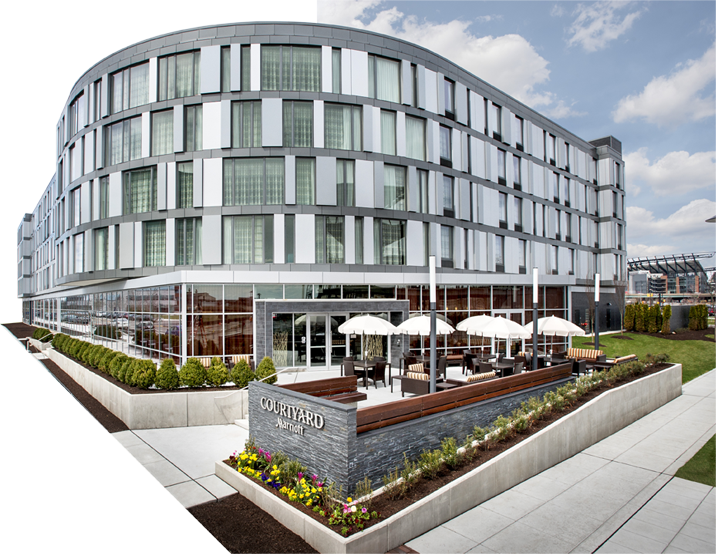 Ensemble has a 30+ year history of delivering superior hotel experiences and exceptional returns on investments over a broad range of hotel types across the nation.